These two little companions are too cute. With that self satisfied smile on the kitten, it makes you wonder just what he is dreaming of. 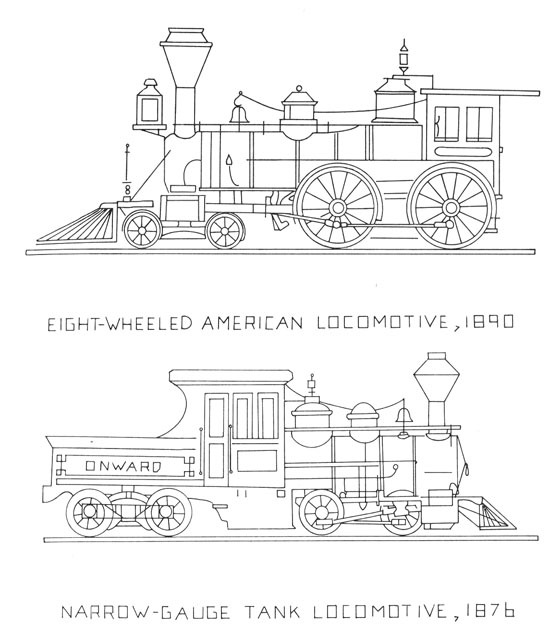 They were published in a Whitman Golden Limited vintage colouring book. This little colouring book has great pictures for Christmas embroidery and I will post one each month. 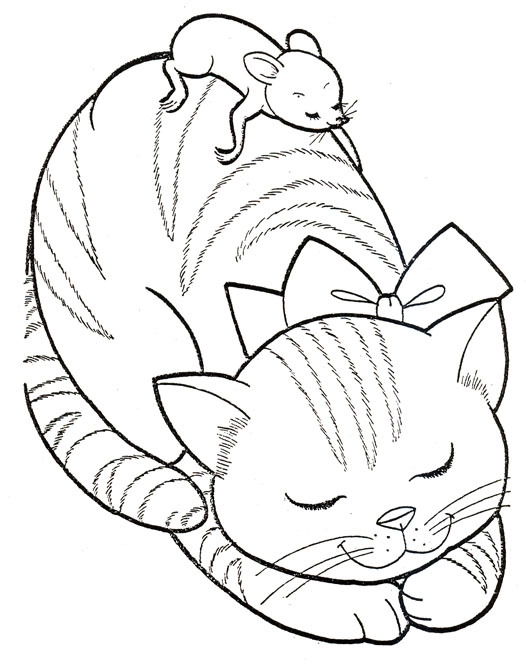 Wouldn’t this cat and mouse look at home on a pillow for that special little someone? They could also adorn a Christmas stocking. I have several vintage McCall’s Iron On Transfer Books. I will post these pages throughout the year. The first transfer book is the McCall’s Iron On Transfer Memory Lane, Vol V. There are some wonderful transfers to embroider including cross stitch motives. Check out the price for the book. The first transfers I am posting are these vintage trains. Just in time for Father’s Day in June they would look great on tea towels (for those guys who do their own and other’s dishes). I think it only fair to give them some towels of their own. They would also look good on a pillow for his favourite arm chair or a cover for his CD case. 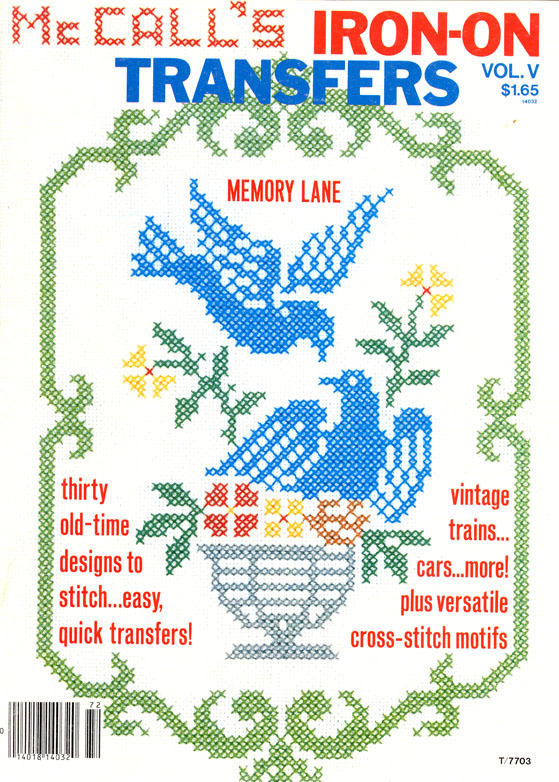 The Cross Stitch and Country Crafts Magazine was a great little magazine and this insert from 1992 has plenty of cute and timely embroidery patterns. 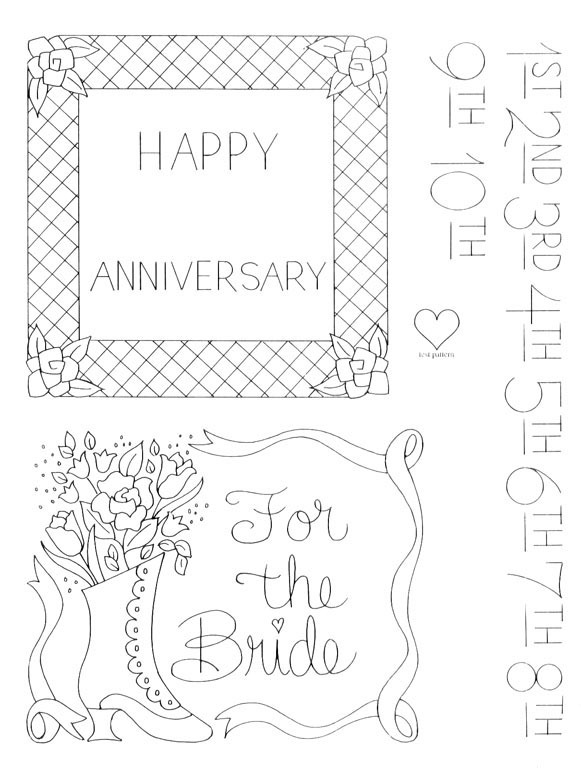 This month I am posting the wedding and anniversary page. If you need a cute embroidery for that spring or summer bride this would be ideal. It could be used as a gift tag or embroidered onto a little ring pillow. The anniversary pattern would be great with a photo of the couple printed in the center or on an album cover with photos from their life together. 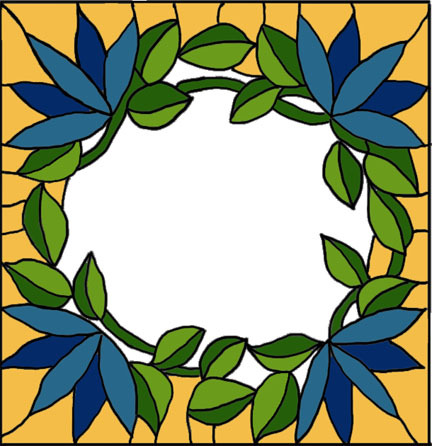 Both frames could be used for quilt labels as well. These elves which were published in the McCall’s December 1986 Needlework Magazine are so cute and versatile. 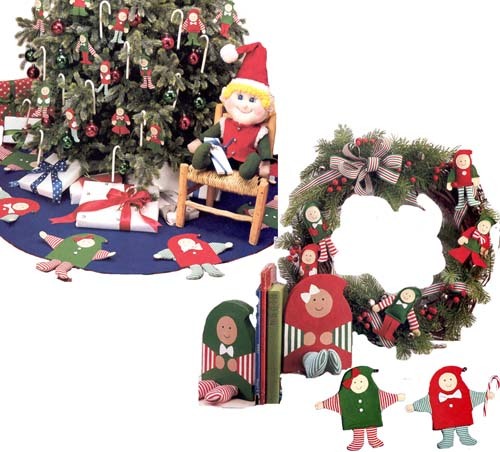 They are shown hanging on the tree, under the tree on a tree skirt as well as book ends. I made them in felt and placed tags in their hands for presents as well. What great cushions they would make from an enlarged pattern. Very easy to sew or paint as well, so would work up quickly. Their striped arms and legs would lend themselves to beads and laces for gift giving. 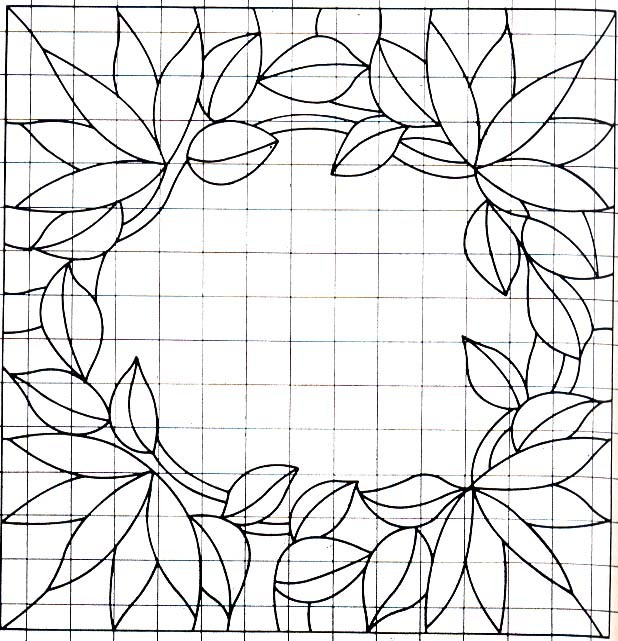 I have posted one pattern here and there are two more in the 240 kb pdf document below. Have fun. 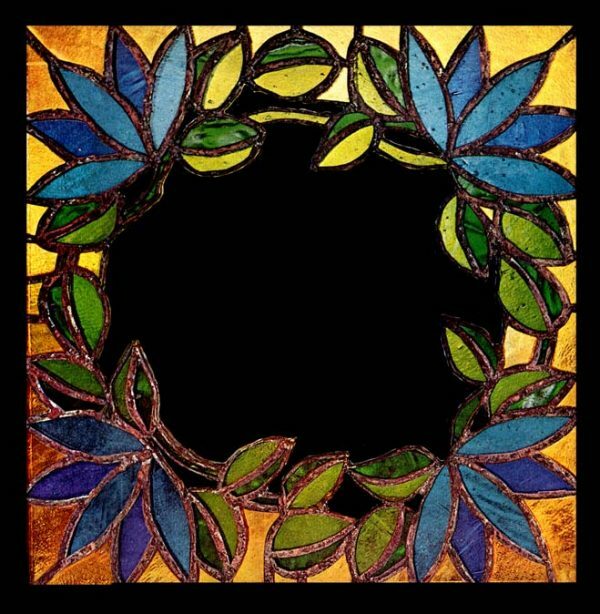 A vintage stained glass pattern can lend itself to a pretty quilt label or book plate. 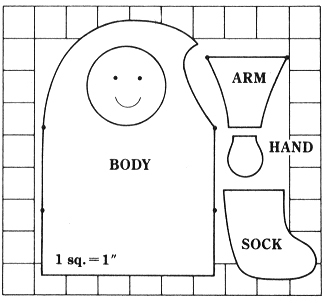 The panel was published in the McCall’s Needlework Fall/Winter 1974 magazine. A silk scarf, painted with this pattern would make a great gift. It would also be a very pretty used for discharge dying. I liked the pattern so much I coloured it to use as a quilt label. It would also be great quilted and beaded onto the flap of a little fabric envelope along with a little chain for a handle.